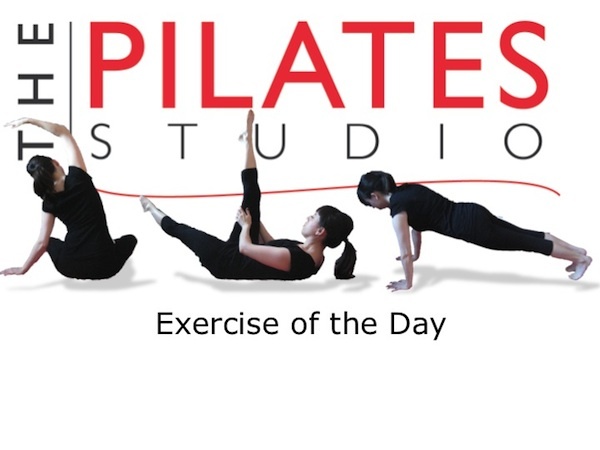 This exercise is intended to stretch the rhomboids and release any shoulder blades that may be stuck. The log also allows for proprioceptive feedback and massage. To do this exercise you will need a mat and a foam roller. Start by lying on your back on the Foam Roller. The Foam Roller should be parallel to your spine. Your knees will be bent and your feet will be planted in the ground. 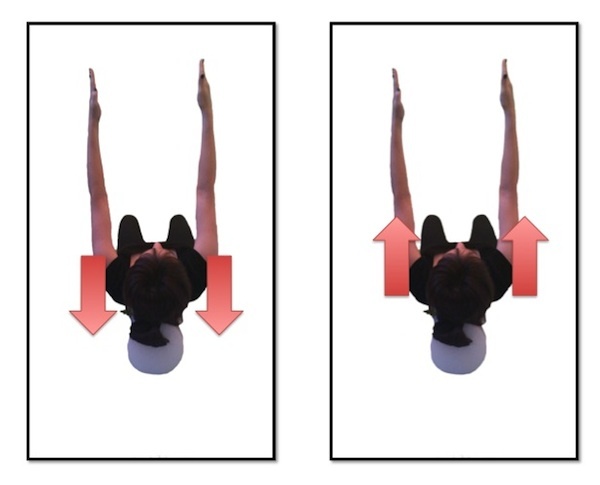 To begin the exercise reach your fingertips towards the ceiling above your chest. Inhale as the muscles between your shoulder blades stretch, which allows your reaching fingertips to pull the shoulder blades up and away from the log. Exhale allow the shoulder blades to plop back on the log. Repeat this 6-8 times. 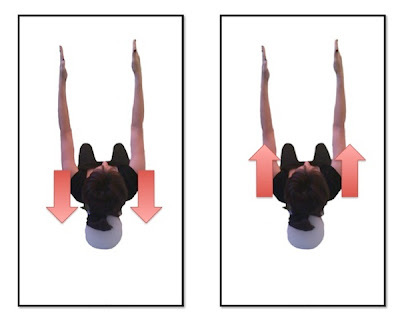 This exercise is called puppet arms because you want to imagine that there are strings attached to your fingertips and that someone else is pulling your shoulder blades away from the log. Then the strings are cut and this is what causes the shoulder blade plop.